If you are a highly trained, skilled, experienced equine professional, you have professional liability exposure that is not easily insured by many insurance companies. Professionals who should consider this coverage include: Horse Riding & Driving Instructor, Riding Instructor for the Disabled, Horse Trainer, Horse Training Instructor, Equine Assisted Services Professional to Licensed / Certified Therapists, Therapeutic Services Provider for Horses, Accredited Farrier / Blacksmith & Assistants, Horse Show Officials and Judges, Horse Program Fee Consultant, Horse Farm & Show Facility Design Consultant, Equine Assisted Growth & Development Services Provider, and Professional Horse Groomer. Professional Liability Insurance does not take the place of general liability, but is complimentary to it because it does not provide important Premises & Operations Liability coverage that the General Liability Policy provides. Therefore, professional liability is not offered as a stand-alone policy. It is added to the general liability policy by endorsement for each qualified professional who is listed in the policy by name. There is a separate premium charge for this important coverage. General Liability Insurance for commercial equine operations protects you from financial loss should a client / customer or therapy subject become injured, or their property be damaged in relation to your horse activities, and the damaged client attempts to hold you responsible for negligence. Equine Professional Liability generally pays for those sums the insured professional becomes legally obligated to pay as damages because of “bodily injury,” “property damage,” “personal injury,” “prize money losses” or loss of value of a horse to which coverage applies caused by a “professional incident.” A “professional incident” usually involves an improper professional judgment by the Insured, as they provide a service for which there is higher than average expectation of outcome according to the high qualifications of the professional. While the GL section of the policy names the individual, partnership, trade name or corporation as the insured, the professional liability endorsement must state which individuals are insured as professionals for their line of work. Legal Defense Costs: These days court costs and hiring of a lawyer can quickly mount to $50,000 or more; an expense you do not want to come out of your pocket if you are sued and must hire a lawyer. If sued in relation to an insured professional service, the policy provides legal defense whether the case has merit or not. Settlement or Claim Costs: For bodily injury, property damages, personal injury, prize money, or loss of value to a horse for which you are responsible and held negligent to some degree in carrying out your professional services. 1. A Horse Show Steward gives an improper command during a class that results in a chaotic response from participants, causing injury to some. 2. 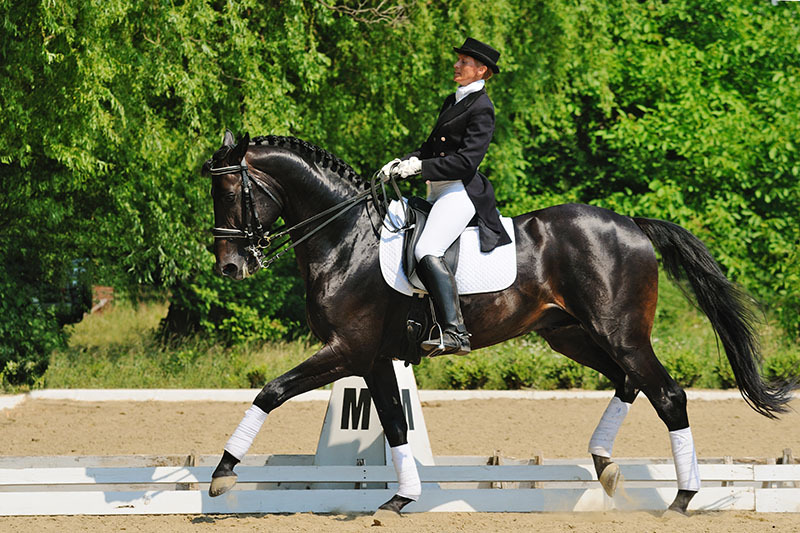 A Horse Show Judge makes a decision in a class that a participant believes to be unfair. The decision results in the judge being sued for the loss of a horse and handler’s reputation, loss of prize money, and lowered value of the animal. 3. A student or parent of a student wants to progress rapidly and put pressure on the Professional Riding Instructor to accelerate training. The Instructor pushes the student to perform a movement that the professional knows may be beyond the student’s capability to carry out and control, and the student is injured. 4. A Professional Riding Instructor teaches a student an unusual control technique when a more accepted technique would have been safer and more appropriate; both the horse and rider suffer injuries because of it. 5. A Special Needs Client suffers additional or aggravated injury in relation to the condition for which they are seeking therapy benefit due to improper judgment and application of therapeutic principles by the therapist. The Riding Instructor or Equine Assisted Services Provider is drawn into the law suit. 6. A Horse Handler for Equine Assisted Services makes an improper judgment that causes a horse to react in an unexpected way, causing injury to a subject who is present for treatment. 7. A Farrier / Blacksmith injures a horse due to improper shoeing or trimming, ruining future chances for the horse in high level competition. 8. A Trainer applies a brutal and stressful teaching technique to a horse instead of a gradual and humane method that would have been safer and more effective. Horses have long memories for traumatic experience, so the animal’s training cannot be furthered for its intended purpose. These examples listed above are just a few ways horse business liability insurance can protect you if anything happens in your line of work. If you have questions regarding how having the right horse insurance can help your business, you can reach out to our team for clarification and peace of mind. As a professional in the horse business, you are working with clients who are competing at a high competition level. When working with a higher level of clientele, your business can be at risk if something were to happen to one of the horses you are working with and you could be held accountable. Since your horse insurance needs are so unique, we believe in providing our clients with personalized service. We will happily review our policies, company details, qualification requirements, and provide an estimated premium by phone or email. We are able to work with several insurance companies, so coverage conditions and rates may vary. Dial 1-800-328-8894 to get started on the equine liability insurance forms right away.